After my BTech in Computer Science from College of engineering, Thiruvananthapuram (CET), I joined for a masters program (Mtech) in Computer science from IIT, Madras. I further pursued my interest in logic and automata theory during my PhD in Institute of Mathematical Sciences, Chennai under Prof. Kamal Lodaya. After I finished my PhD in 2013, I immediately joined for a postdoc in Tata Institute of Fundamental Research (TIFR), Mumbai, followed by postdocs in Laboratoire d'Informatique Algorithmique: Fondements et Applications (LIAFA), Paris with Prof. Thomas Colcombet and Chennai Mathematical Institute (CMI). Currently I am working with Mikołaj Bojańczyk in University of Warsaw. 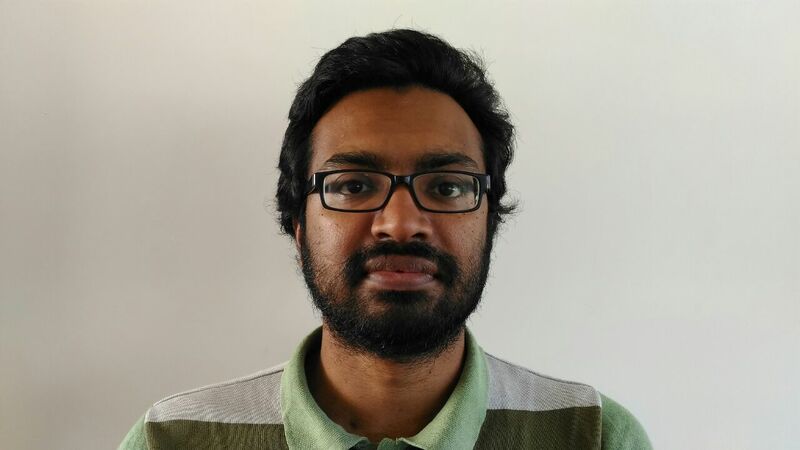 Awards: ACM India Honourable Mention for dissertation titled "Regular Quantifiers in Logic"
Abstract : We study the class of languages of finitely-labelled countable linear orderings definable in two-variable first-order logic. We give a number of characterisations, in particular an algebraic one in terms of circle monoids, using equations. This generalises the corresponding characterisation, namely variety DA, over finite words to the countable case. A corollary is that the membership in this class is decidable: for instance given an MSO formula it is possible to check if there is an equivalent two-variable logic formula over countable linear orderings. In addition, we prove that the satisfiability problems for two-variable logic over arbitrary, countable, and scattered linear orderings are Nexptime-complete. Abstract : In this paper, we study several sublogics of monadic second-order logic over countable linear orderings, such as first-order logic, first-order logic on cuts, weak monadic second-order logic, weak monadic second-order logic with cuts, as well as fragments of monadic second-order logic in which sets have to be well ordered or scattered. We give decidable algebraic characterizations of all these logics and compare their respective expressive power. Abstract : In this paper we show some lower bounds for the size of multiplicative circuits computing multi-output functions in some noncommutative domains like monoids and finite groups. We also introduce and study a generalization of linear circuits in which the goal is to compute MY where Y is a vector of indeterminates and M is a matrix whose entries come from noncommutative rings. We show some lower bounds in this setting as well. Abstract : We consider first-order logic with monoidal quantifiers. We show that all languages with a neutral letter, definable using the addition numerical predicate are also definable with the order predicate as the only numerical predicate. Since we prove this result for arbitrary subsets of the monoidal quantifiers, the following holds in the presence of a neutral letter: For aperiodic monoids, we get the result of Libkin that FO[<, +] collapses to FO[<]; For solvable monoids, we get the result of Roy and Straubing that FO+MOD[<, +] collapses to FO+MOD[<]; For cyclic groups, we answer an open question of Roy and Straubing, proving that MOD[<, +] collapses to MOD[<]. All these results can be viewed as collapse results for the uniformity of constant depth circuits, and in this sense as a separation result for very uniform circuit classes. For example we separate FO[<,+]-uniform CC^0 from FO[<,+]-uniform ACC^0. Abstract : Kamp showed that linear temporal logic is expressively complete for first order logic over words. We give a Gabbay style proof to show that linear temporal logic extended with modulo counting and group quantifiers (introduced by Baziramwabo,McKenzie,Th\'erien) is expressively complete for first order logic with modulo counting (introduced by Straubing, Th\'erien, Thomas) and group quantifiers (introduced by Barrington, Immerman, Straubing). Abstract : It is well known that modelchecking and satisfiability of Linear Temporal Logic (LTL) are Pspace-complete. Wolper showed that with grammar operators, this result can be extended to increase the expressiveness of the logic to all regular languages. Other ways of extending the expressiveness of LTL using modular and group modalities have been explored by Baziramwabo, McKenzie and Th\'erien, which are expressively complete for regular languages recognized by solvable monoids and for all regular languages, respectively. In all the papers mentioned, the numeric constants used in the modalities are in unary notation. We show that in some cases (such as the modular and symmetric group modalities) we can use numeric constants in binary notation, and still maintain the Pspace upper bound. Adding modulo counting to LTL[F] (with just the unary future modality) already makes the logic Pspace-hard. We also consider a restricted logic which allows only the modulo counting of length from the beginning of the word. Its satisfiability is Sigmathree-complete.